With more investments over the last few years, big supermarkets have developed their own product lines, at affordable rates and of good quality. Along with advantages like better distribution channels and an enhanced understanding of consumer demand, this tendency is expected to develop further in the future, creating fierce competition in the market between producers and retailers. Private labels are usually developed by supermarkets with widespread distribution channels and credible reputation. This is a play ground for big retailers with financial liquidity, wide distribution channels, and large consumer base. The private label market has fierce competition among supermarkets, including Metro Cash & Carry Vietnam, Big C, Co.opMart, and Vinatex Mart. With wide distribution channels at their disposal, these supermarkets have continuously presented several products carrying their brand name, mainly essential items with strong demand like foods, chemical products, and clothing. Private labels started in Vietnam after the entry of Metro Cash & Carry, who distributed a line private label products such as Fine Food, Aro, Horica Fine Dreaming, and Sigma. However, at that time, private label products did not attract much attention. Only after the economic slump, Co.opMart began promoting development of private label products at reasonable prices and of good quality. Soon the market began to boom in this sector. Currently, Co.opMart has developed about 150 products including rice, fish sauce, rice vermicelli, tea, egg, rice paper, ham, lean pork paste, canned foods, chemical products, household goods, and garments. As for Big C, the supermarket joined private label market with ham under its own trade mark, eBon. 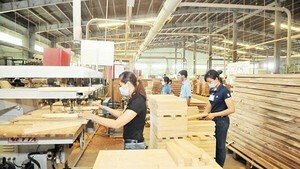 Following this trend in recent years, Big C started to build many new products such as ‘Wow Gia Hap Dan’ and Bakery Big C.
Of late, it has coordinated with 70 producers for several foods and chemical and cosmetic products at prices lower than those of leading companies in the market by 10-20 percent. A representative of Big C said that it developed private labels at low prices because it can take advantage of advertising channels right at the supermarket as well as its available employees and transport system. Although private labels still account for a very small market share, boom in development of private labels has established a competition with retailers to draw consumers. According to Darin Williams, CEO of Nielsen Vietnam, private labels have developed robustly in Australia, New Zealand, Thailand, Malaysia, Indonesia, and some other markets. Meanwhile, private labels and awareness of Vietnamese consumers for this kind of product has just started in recent years but expected to flourish in the future. This business trend has created positive effects. However, from another point of view, producers have faced difficulties as private label products developed. Some businesses said that in order to bring their products into supermarkets, they have to offer higher discounts and suffer inventory costs and late payment. However, if they produce private label products for supermarkets, overheads will not reach 10 percent. At the same time, supermarkets give priority for display of these products. Therefore, many companies are still involved in this business. 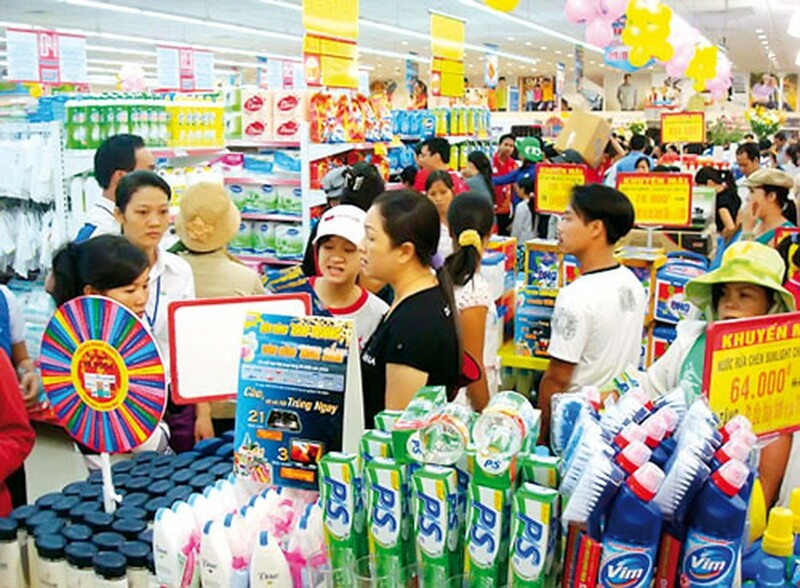 One director of a cosmetic company in Ho Chi Min City said that despite some advantages that companies receive from retailers, after a period, the products of the companies will decrease while the number of private label products will increase. Some distributors even asked producers to cut down similar products to those that the latter were producing for the former. Retailers have advantages as they have information about consumer taste that producers cannot easily get. Lix was once one of the most well-known detergent brands in Vietnam. But due to severe competition with Omo and Tide, besides manufacturing, the company also processed products for Omo. When private label products boomed, Lix was also invited to join as processor, for that its manufacturing line was optimized. However, detergent under Lix brand name gradually vanished from the market. According to economist Vu Dinh Anh, in order to gain a foothold with big retailers, firms have to innovate their products regularly, improve distribution network, invest more in their supply chain, and increase services to protect their market share.